The way to one’s heart leads through the stomach. Aristocrat Caterers are dedicated to serving piping hot platters of some of the most popularly renowned Bengali, Mughlai, Punjabi & Chinese delicacies along with a tantalizing range of desserts & beverages for gatherings round the calendar. We have deal's in all type of Hotel Staff. As a quality driven enterprise, we are engaged in providing Catering Service. Leveraging on our years of experience, we are able to provide Cooks to our clients. The cooks provided by us are well trained and expert in cooking various dishes. These cooks understand the varied taste buds of clients and accordingly cook the food. They maintain hygienic conditions while preparing the food items. Delicious food is what TCF provides on the occasion, whether it's an International Continental Menu or the food from India. We engage competent and thorough professionals for cooking. We have competent and professional Halwaees, in our team, coming from various parts of the country. We also have qualified Chefs for Chinese, Continental & International Cuisine. We are the provide best Cook Services for Rent in New Delhi India. They’re a catering company who are now offering the chance to get a cook to cook for them in their own kitchen. You invite up to people, they do the rest. 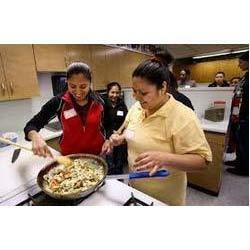 We have gained immense expertise in offering our clients trained cooks. They have high competency level in their respective domains. Our cooks are highly efficient in cooking the most delectable and variety of dishes that you can cherish. Our cooks are perfectly trained in cooking domestic as well as foreign dishes in the most hygienic way for you to enjoy.